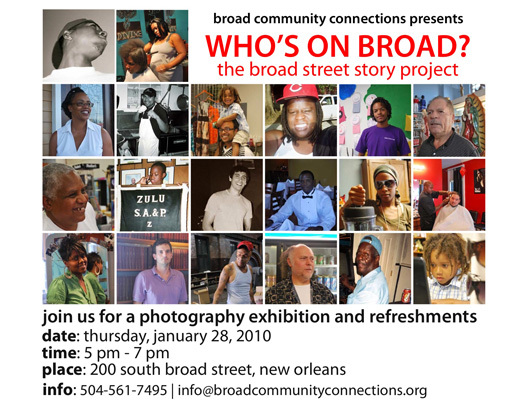 When I had the opportunity to work with Broad Community Connections on Broad Street, a primarily Black historic commercial corridor struggling to recover from Hurricane Katrina, my task in New Orleans was to conduct a market study for a large grocery retailer that would provide fresh food access and spur revitalization along the thruway. Initially, I analyzed reams of data, but it wasn’t until I cultivated relationships with Broad’s small business owners that I saw the complexities of the street’s economy. I asked these individuals to photograph their livelihoods with disposable cameras and interviewed them about the images. I then curated an exhibition of the diverse entrepreneurs’ photos and audio recordings in a vacant storefront on Broad, helping the community clarify their own visions for the road’s future. Watch the digital stories here. The project was funded by MIT IAP Public Service Grant.